A number of reasons for women to explain female hair loss; Hormonal inequities, Stress or Traction Alopecia. 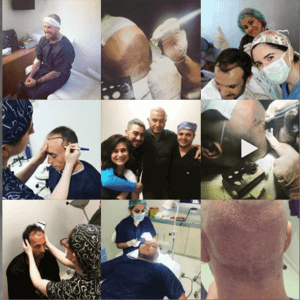 As a result it is important to meet with the correct experts in FUE hair transplant women. Before you decide to go ahead with any method of treatment. We have our expert team of trichologists, hair transplant surgeons and hair loss experts. They are there to help you understand your own individual case and find the best way forward for you. A woman’s hair can feel like her crowning glory. Recent statistics suggest the average female spends up to €50,000 and two-and-a-half years in her lifetime. It’s not usually something women easily part with. 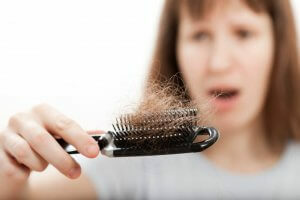 If hair begins to fall out, it isn’t just the individual strands we lose. Some people can find it absolutely shocking with many experiencing an effect on their self-esteem as well as depression. 1 in 4 women will experience hair thinning, but there’s a huge difference in the extent and reasoning behind it. Contributing factors can vary from the stress of hair extensions and accessories on the scalp to hormones or illness. Therefore the treatment needs to be targeted to your specific diagnosis and scalp issues. While over-the-counter shampoos and products can promise to restore less covered scalps, unfortunately they never take into consideration the reasons behind what’s happening and very rarely work. Your FUE Hair Transplant Women always needs to be unique to you. We don’t believe in blanket methods or quick fixes; our team is there to find the cause of your hair loss and ensure – if treatment goes ahead – it is the best way for your needs. 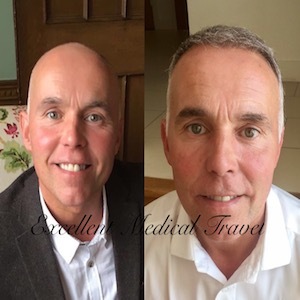 Therefore, if the trichologist believes your hair problem is best resolved through a FUE Hair Transplant Women, we have some of the most experienced Hair Transplant Surgeons in Europe. 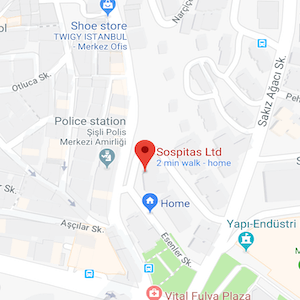 Since they are able to offer the most advanced method of minimally invasive hair restoration – FUE (Follicular Unit Extraction). The FUE Hair Transplant Women method requires no hospital stay and leaves no linear scarring. The individual follicles are extracted from the donor area which is then transplanted one-by-one into the area that needs treatment. The benefits of our FUE (Follicular Unit Extraction) treatment for women, involves no shaving of the receiving area! The surgeon needs to shave the donor area unfortunately. 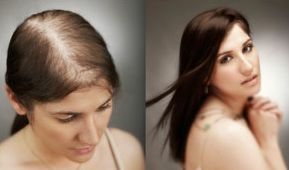 The aim is always to slow down your hair loss and (where possible) restore areas of depleted hair. As a result medication can prevent further hair loss from taking place. The medication cannot re-grow hair that has already been completely lost. This is important to remember. Some medication makes the hair look and feel thicker, like Minoxidil, which makes a higher density. For more information about these products go to our FAQ page. Depending on the cause of your hair loss, medication can be a long-term commitment to some forms of hair loss requiring permanent medication. However, these should have limited impact on other areas of your life. 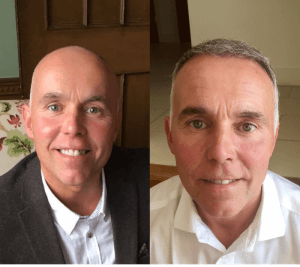 Healing time after a FUE transplant is significantly less than the more traditional FUT surgery. We usually recommend you remain off work for a day or two after treatment to ensure you feel well and can follow post-operative advice. Most patients can normally return to sporting activities after about a week.